The KA-BAR Zombie Killer Knives were designed to perform under the most rigorous, unexpected, and apocalyptic conditions. Forged from SK-5 High Carbon Steel with a rockwell hardness of 57-58, and sporting a black epoxy powder coated finish, this fixed blade knife is ready for the harshest conditions. 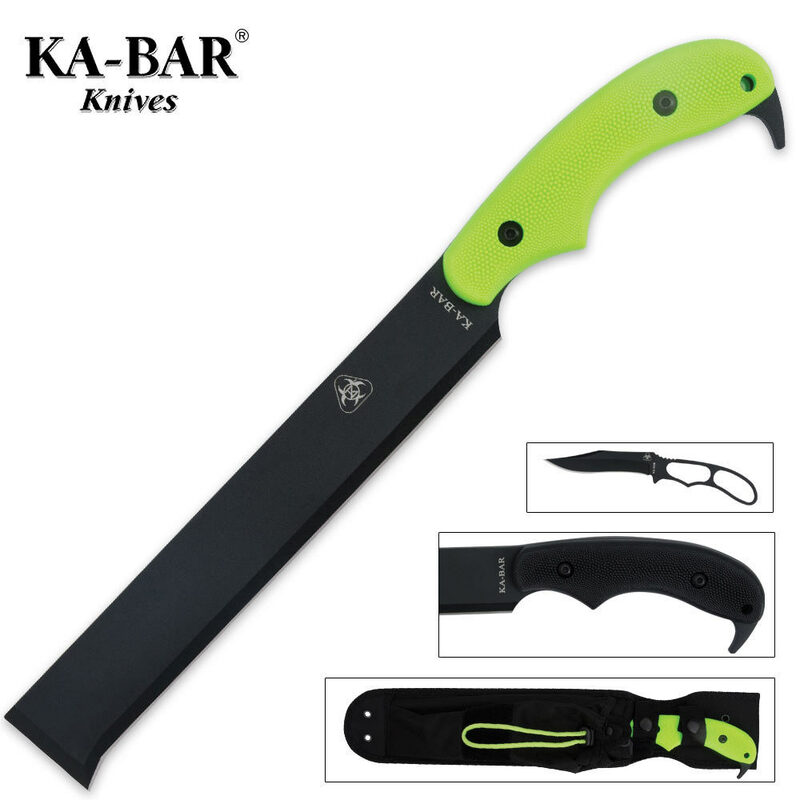 Comes with both high-visibility radioactive green handle scales as well as an extra set of black scales. Also includes a high quality nylon sheath and Acheron Skeleton companion knife. 14 1/2 in. overall, 9 in. blade.